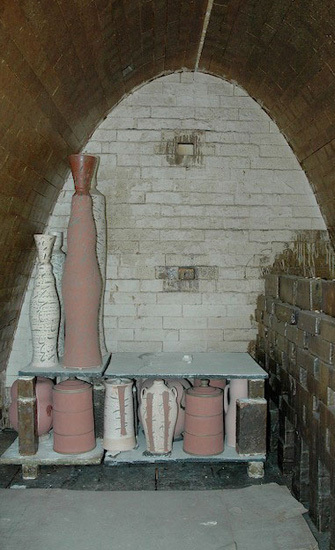 Up the hill from the stonepool are two kilns: the two-chambered wood kiln (one chamber of which was first built in 1988) and a new hybrid oil-wood kiln. 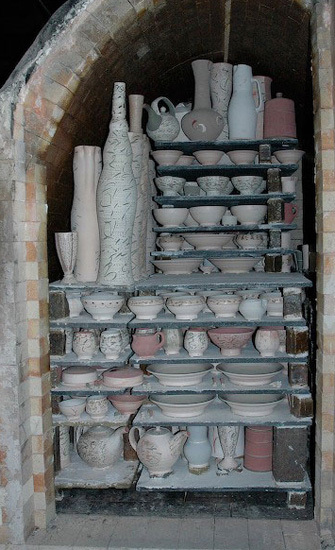 These days, the wood kiln tends to be fired two or three times a year, and the oil-wood kiln is just getting into service as of fall 2017. 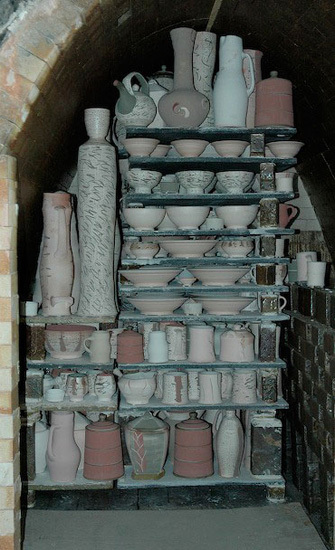 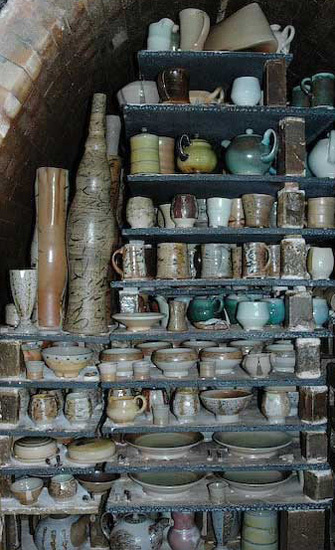 These pictures, courtesy of former apprentice Maya Machin, take you through the June 2007 wood firing.